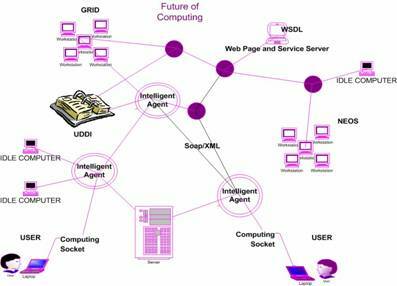 The above picture depicts a future computing framework in which semantic Web services and software agents interact with each other. A “consumer” plugs his computer into a so-called “computing socket” (or a wireless access point), which is presumably next to the electrical and phone outlets. Computing then is solely viewed as part of the daily utilities that are ubiquitously available (thus the coined name Optimization Services). The consumer does not need to know which computer or grid of computers his requested services are finally run, just as he does not need to know where his electric power is generated or where the water flows in from. Although many of the OR related tasks can be done by a combination of manual labor and custom tools using existing OR technologies, the OR community needs a combination of software and systems with standardized interfaces, seamless integration, embedded intelligence, and no human involvement. Our research in Optimization Services is motivated by the fact that although large-scale optimization has been a subject of research for over half a century now, the challenge of making it useful in practice is still a problem. 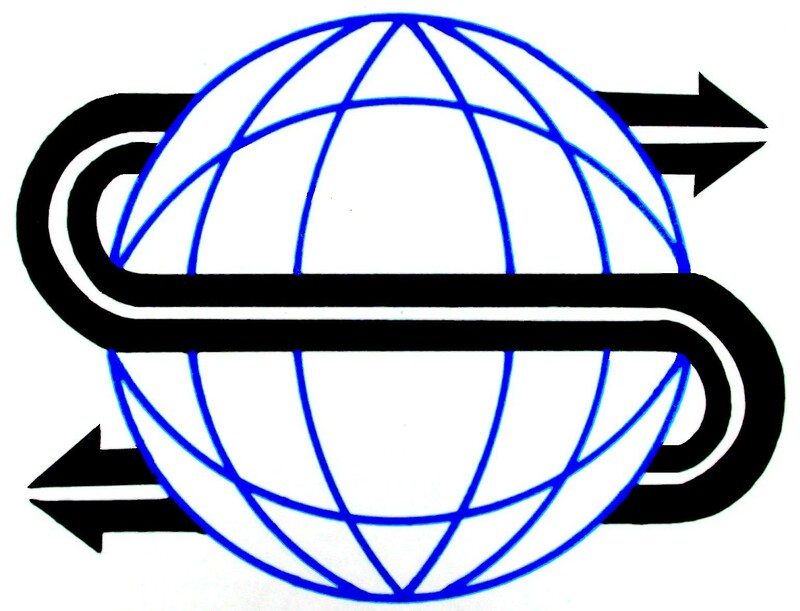 Initially the greatest difficulties were posed by solution computation and model building, but the primary impediment to broader use of optimization models and methods today is one of communication. Currently there are many optimization solvers, various formats to represent optimization problems, and heterogeneous mechanisms to communicate with optimization components. There are also numerous research initiatives in developing supporting tools to analyze and benchmark optimization problems and solvers. Moreover, different optimization components are implemented in different programming and modeling languages and located on different platforms locally or all over the network. Even if a prospective user is not puzzled by such a plethora of combinations, the trouble of obtaining, installing and configuring the OR software does not justify the benefits from using it.